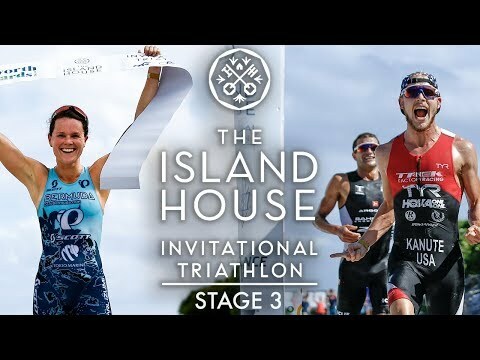 I know that the focus for Island House Tri is their broadcast after the event but I have to say I still expected more. I think their coverage this year went backwards from the first two years. It's like they didn't even try this year after seeing what Superleague does. And just WTH is this "highlights" video from the first day? It's like a high school kid discovered slomo for the first. time. I did enjoy the Instagram updates from the athletes though and the actual racing the last day seemed exciting. I haven't seen that much slow motion since the 6 Million Dollar Man. It's really pretty insane. Especially when labeled as a highlights video. You could watch the full clip and still not know what the standings were after the first day of racing. i found myself not caring at all this year about island house whereas last year i was really into it. Talbot made a few interesting videos that I first became aware of during Kona which were more "Day in the Life" style, however after watching a few of those I got bored of the non-stop slow motion/overhead drone footage. This was more of that. As for Island House, I think SuperLeague beat them up and took their lunch money. The fact they have long course athletes in there at all shows this was more meant as a paid vacation than a real race. They either need to amend the format to give the long course folks a chance or stop inviting them. I know Bozzone took second, but he at least has a short course pedigree. Stage 3 highlights video is up. More slomo but at least they are running slomo on the beach so it brings back memories of Baywatch. Worth a watch though if you scroll to the end to around 2:50 to see the overhead drone footage of the last few 100 meters between Bozzone and Kanute. Killer sprint finish. Good lord ... I wonder how fast Kanute was going for those last 20m or so?? running slomo on the beach so it brings back memories of Baywatch. Sadly, that's just the CEOs. Overhead drone footage of the last few 100 meters between Bozzone and Kanute. Killer sprint finish. At about 2:00 - "@TZaferes, get out of the shot FFS!!" That ending was cool, but that music made me want to murder a hamster. Honestly only watched for the sprint finish footage. “Highlights” of slow motion of people swimming, riding, and running without any context isn’t going to engage me a whole lot. Had to bring this thread up again now that Island House Tri and athletes are promoting the race video now on YouTube. WITH commercials embedded. WTH? Are they just trying to earn what little money they can with an old program or is it part of promotion leading up to announcing another race? I assumed it was dead. I tried to watch but gave up when the first block of commercials started. Funniest part was about 5 minutes in with an interview segment with Alycia Kaye saying how Gwen isn’t racing but she’s here to give expert insights as commentator. Cut to race scene with Gwen saying, “The athletes came to compete. They want to win.” Haha. Expert trolling by the editor.